Even though it is January, I believe that a good garden starts now. This is the time to revitalize the soil of beds with a good organic compost and add nutrients that might have been depleted after a summer of growth. Of course with a garden, it's all about the soil. Nothing else really matters. 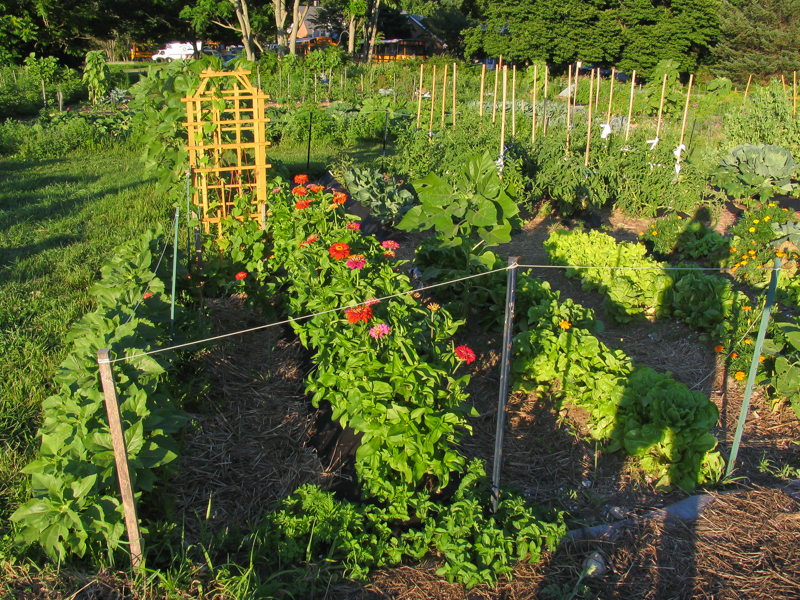 Without a nutritious soil, the plants won't do well. But before anything gets planted I visualize my garden and what plants will go where. It is important to plan ahead. I also read my notes from last summer to determine which plants did well or which plants I liked. Keeping notes throughout the growing season is essential so that I can make good decisions the following year. I record what the weather was like, what vegetables I enjoyed eating, and how the plants did where I planted them. This is the necessary work of gardening. If you enjoy a hodgepodge of plants, that is fine. But I like to make improvements each year. If a particular plant didn't grow well or became infested with insects, I won't plant it the following year. I believe that gardening, cooking, and eating are all interconnected. One leads to the other. It is a joy to walk into my yard to collect fresh organic vegetables for lunch or dinner!